(91outcomes.com) – The annual Intelligence Authorization bill, passed by both the Senate and the House this week and now awaiting signature by the President, includes an important measure for Gulf War Veterans. Tucked into this year’s annual Intelligence Authorization bill at the request of U.S. Rep. Rush Holt (D-NJ-12) is a long anticipated measure requiring the CIA to declassify records from the 1991 Persian Gulf War. 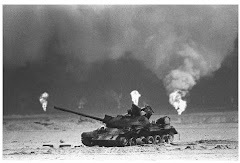 "Ill Gulf War veterans have been waiting for nearly two decades for our government to make public any information in its possession about the kinds of toxic agents they may have been exposed to during and immediately after the 1991 war," Holt said in the statement. "This mandated declassification review is a long overdue step towards meeting that goal." 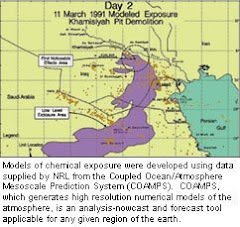 It is no coincidence that a key staff member who was instrumental in this legislation was Patrick Eddington, a former CIA analyst whose book, “Gassed in the Gulf,” rocked Washington when it exposed evidence showing Gulf War troops were indeed exposed to Iraqi chemical warfare agents during the war, contrary to assertions by Department of Defense and Department of Veterans Affairs officials. Holt’s measure may help bring more evidence to bear in unlocking the key to treating Gulf War veterans’ illnesses since knowing the exact causes of the brain damage may aid in developing effective treatments for the resultant neurological and immunological disease in Gulf War veterans. According to a July 2010 Institute of Medicine report, approximately 250,000 of the 696,842 U.S. troops who served in the 1991 Gulf War remain debilitated by chronic multi-symptom illness, a condition that IOM made clear in its report cannot be linked to any psychiatric condition, a flawed but longstanding assertion of Defense officials in the 1990’s. It is expected that President Obama will sign the bill into law in the upcoming days.